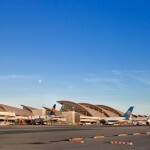 Gary, Ind.-headquartered Crown Corr, Inc.
Los Angeles International Airport (LAX) is the sixth busiest airport in the world and the third busiest in the United States serving nearly 63.7 million passengers – including 17 million international passengers – in 2012. Visitors are drawn to Los Angeles to experience everything from the area’s temperate coastal climate and beaches to the glitz and glamour of Hollywood movie-making. 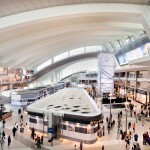 Those themes are readily apparent in the design of the $1.9-billion New Tom Bradley International Terminal (TBIT) at LAX, which was dedicated in September 2013. 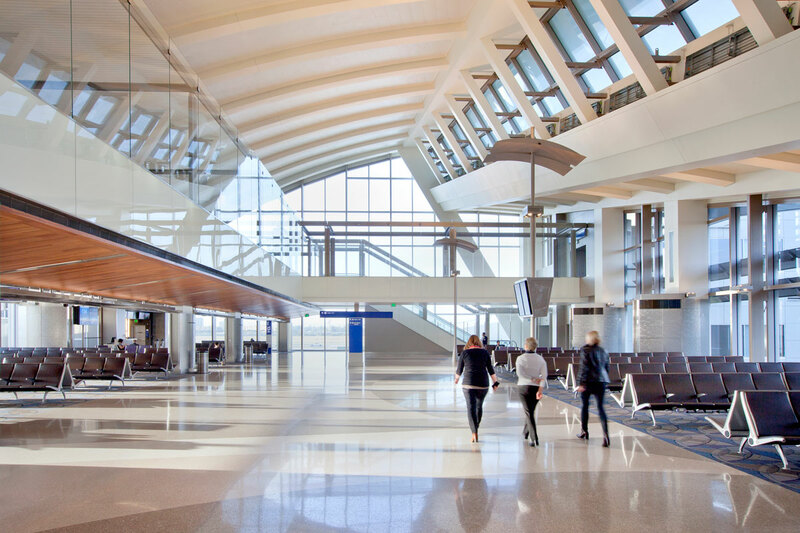 The new 1.3-million square-foot terminal addition features a dynamic design by Denver-headquartered Fentress Architects, which was charged with dramatically improving the passenger experience in a way that would capture the vibrant spirit of Los Angeles. 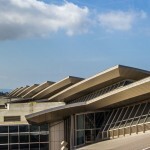 The terminal’s uniquely formed roof was created with 253,000 square feet of formable Alucobond aluminum composite material in the 4mm thickness and custom LAX Fawn Metallic color. 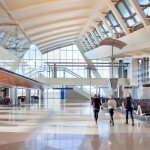 Fentress Architects, which was awarded the design contract for the new terminal in May 2008, created the design following a series of “visioning” meetings with planners, community members, stakeholders and the traveling public to determine the images that best exemplify the Los Angeles metropolitan area, according to Holly Carson, assistant project manager, Fentress Architects. Among the common themes were the ocean, mountains, highways and downtown, she said. 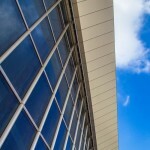 Looking up also provides a view of the Alucobond, which was utilized on interior curved soffits. 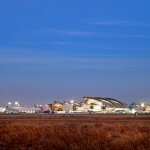 While visually stunning, the design of the new terminal also had to meet the airport’s practical need to accommodate larger jetliners such as the double-deck wide-body Airbus A380. 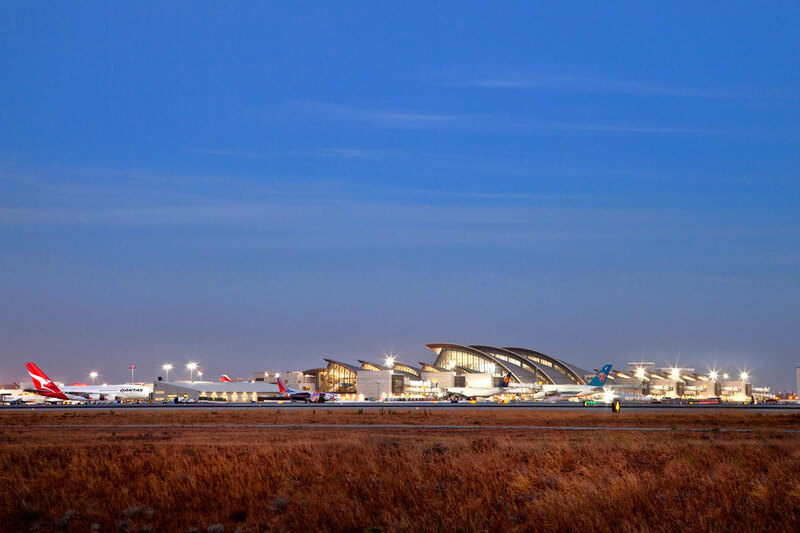 The New TBIT hosts 30 foreign air carriers and is designed with 18 new gates – nine of which can accommodate larger, new-generation aircraft such as the Airbus A380. 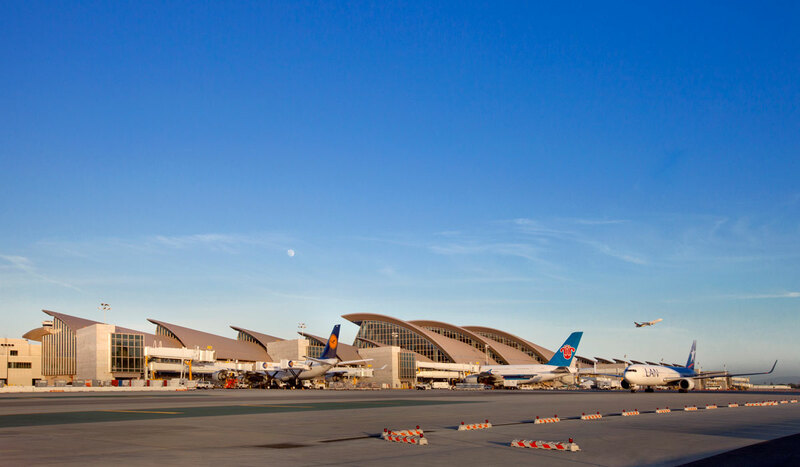 The new terminal’s 1.3 million square feet doubles the size of the existing Tom Bradley International Terminal. 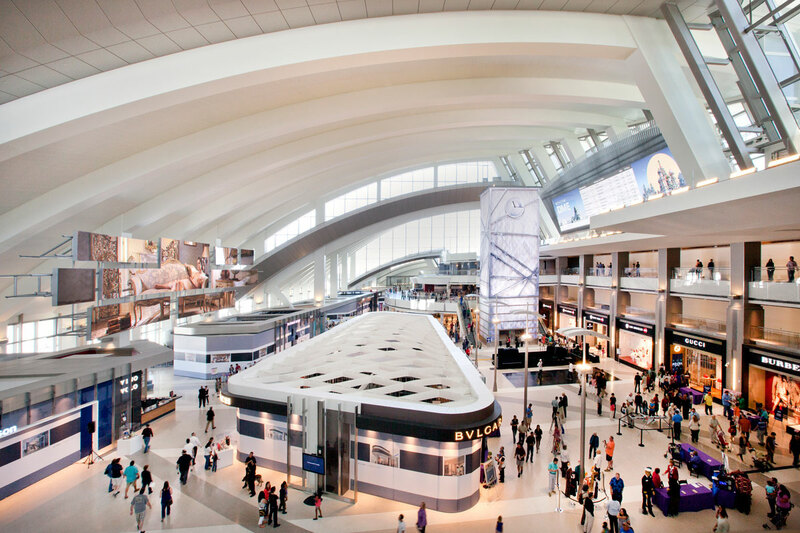 Traveler amenities in the new terminal include the Antonio Villaraigosa Pavilion (Great Hall), which offers 150,000 square feet of dining, retail shopping, airline lounges, a children’s play area and a spa. 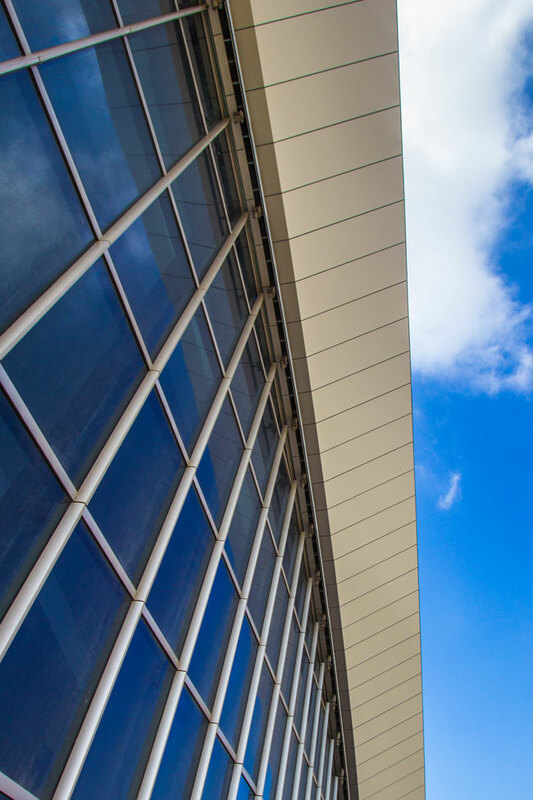 A new Integrated Environmental Media System not only enhances the passenger experience but pays homage to the Los Angeles area’s world-renown entertainment industry. Seven architecturally scaled media features offer multimedia content celebrating travel and Los Angeles’ personality as a creative hub. 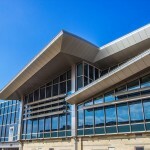 Design of the new terminal began in 2009 with construction started in 2010. 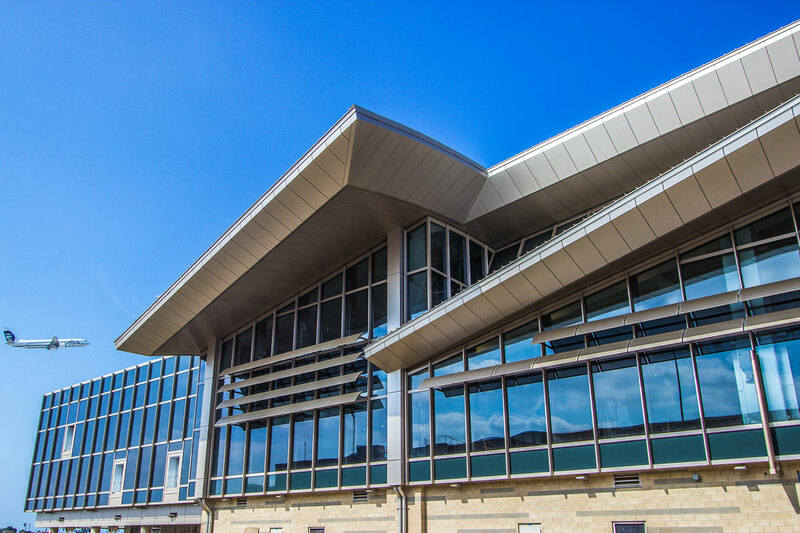 Walsh Austin Joint Venture (consisting of Chicago-headquartered Walsh Construction and Dallas-headquartered Austin Commercial) served as general contractor for the project. 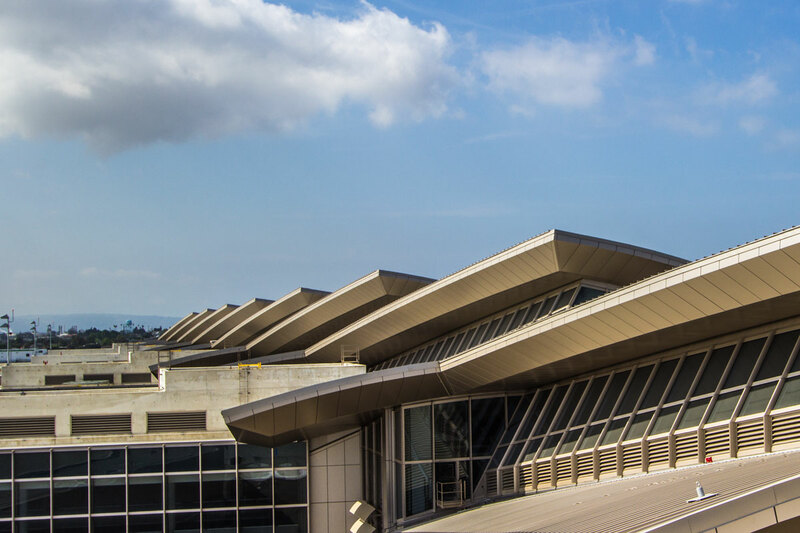 The New TBIT – which was designed to be submitted for LEED Silver certification – was constructed with practices that diverted 75 percent of construction waste from local landfills. 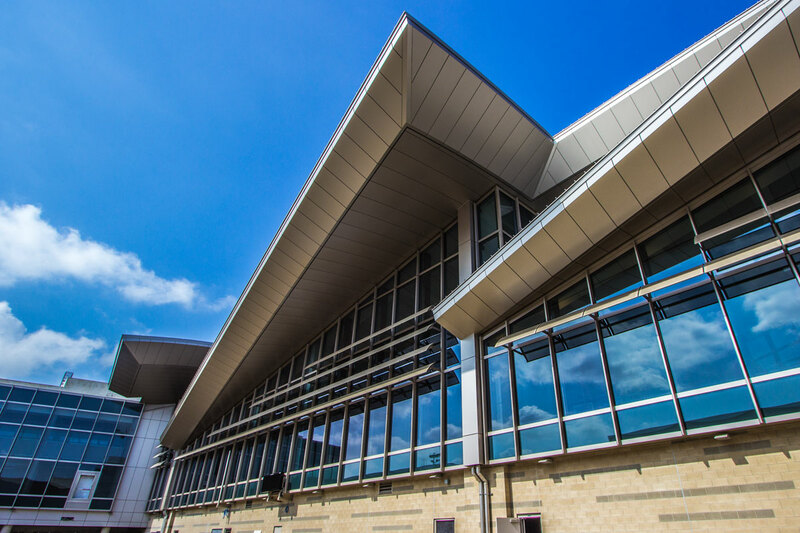 Elward Systems Corp., of Lakewood, Colo., fabricated approximately 10,500 recyclable Alucobond panels for the project utilizing detailed three-dimensional CAD modeling so that the panels could be fabricated flat with pre-cut angles. 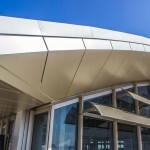 The panels were then curved on-site during installation. 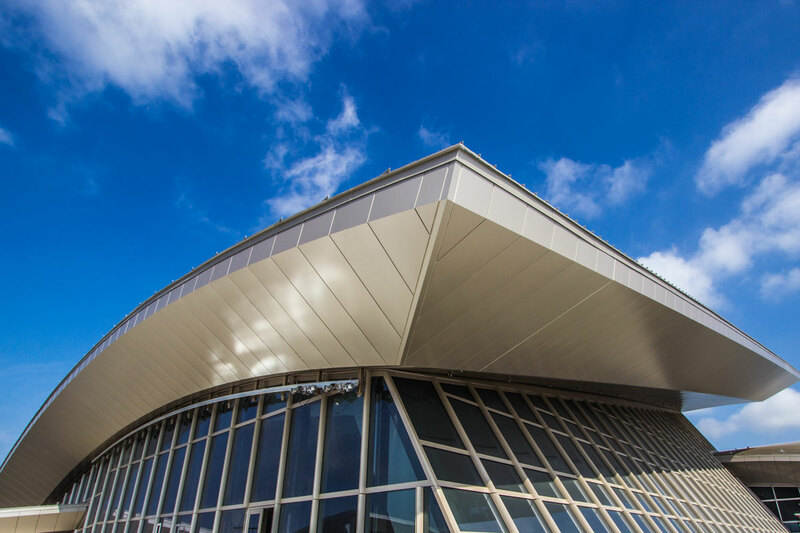 The Alucobond panels were installed by Gary, Ind.-headquartered Crown Corr, Inc., with the Elward Systems Corp. Rout and Return Dry System. Installation began in August 2011 and was completed in June 2013. 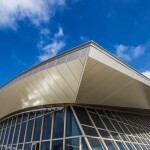 Due to the project’s aggressive timeline, much of the panel fabrication and installation occurred simultaneously. 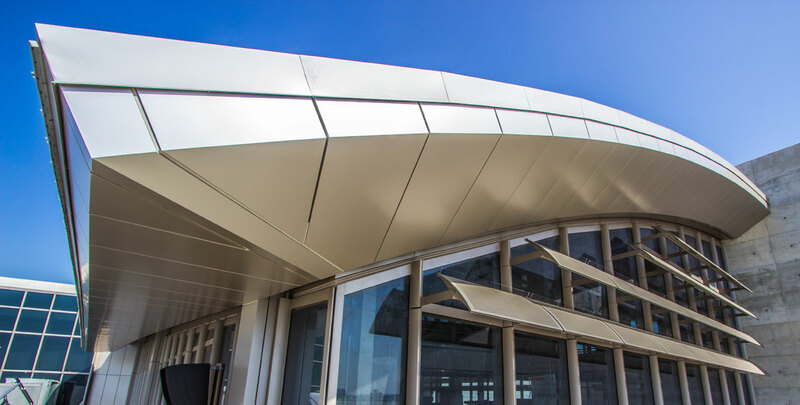 Creating the New TBIT’s “ocean wave” effect required the installation of the Alucobond panels – many of which were 25 feet long – on 14 roof areas, each featuring three to four elevations, as well as on interior soffits, according to David Ford, project manager, Crown Corr. 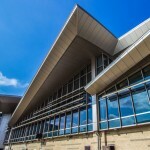 Carson said the roof originally was envisioned to be constructed from stainless steel but that the Alucobond panels provided several project benefits.